With its natural beauty and historical sights, the Turkish Aegean coast is a perfect spot for those who want more from their vacation than just lounging on a beach. Places like Kusadasi, Marmaris, and Bodrum are internationally renowned tourist destinations, but these five alternatives will also let you breathe in the true spirit of this ancient region. A great starting point for a Turkish Aegean Coast tour of the Aegean coast, the city of Fethiye offers its visitors an abundance of cultural and natural wonders. Located on the site of the ancient Lycian city of Telmessos, Fethiye is now one of the region’s top tourist destinations, famous for its nightlife and cosmopolitan atmosphere. Additionally, the city gives you the chance to admire some of the most famous Lycian cave tombs and a series of other archeological remains and artifacts. The surrounding area is exceptionally picturesque, with breathtaking beaches, lagoons, and mountains perfect for hiking and paragliding. As a popular tourist hub, Fethiye provides a wide selection of accommodations for all tastes and budgets. Nestled between the major tourist resorts of Fethiye and Marmaris, the tranquil town of Dalyan is a hidden gem of the Turkish Aegean coast. The protected natural area surrounding the town has warded off the wiles of mass tourism. 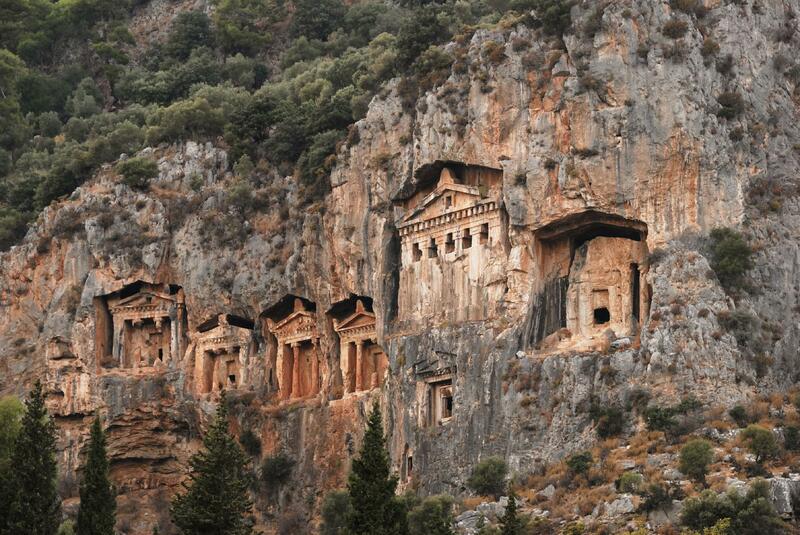 Use a travel itinerary planner to plan two days in Dalyan. What it offers instead is a great spot for enjoying the outdoors, traditional hospitality, and some of the region’s best-known historical attractions like the Lycian tombs and the ruins of the city of Kaunos. Close by is the scenic Iztuzu Beach, renowned as one of the most beautiful in the whole of the Mediterranean. Accommodations range from luxurious hotels and villas to camping sites. The site of a world-famous temple and oracle dedicated to Apollo, the town of Didim is well worth a stop on your tour of the coast. Just as the temple used to draw thousands of pilgrims to the town in bygone days, the remains now attract tourists from all over the world. Beyond the temple, there are plenty of other things to do in Didim: you can enjoy the bustling nightlife, visit a number of historical sights, and go on various excursions to the scenic nature surrounding the town. As a popular tourist spot, Didim offers a good selection of places to stay, both hotels and self-catering options. 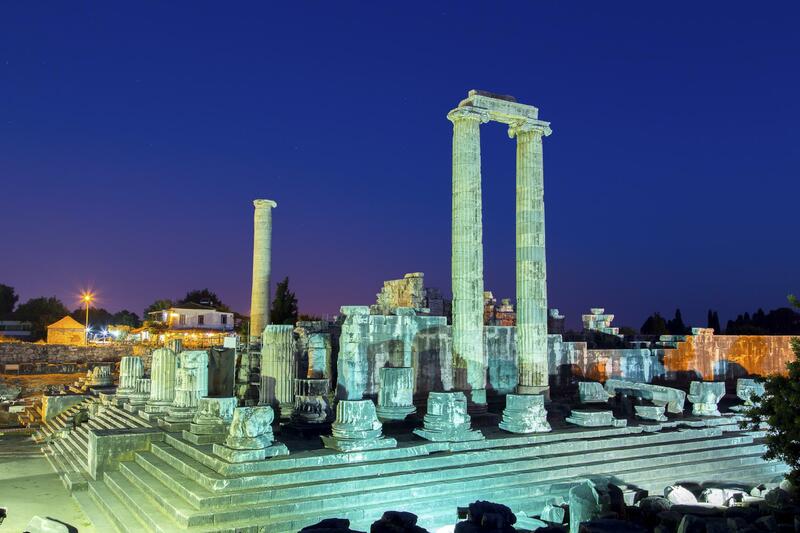 Just a short distance from the ancient city of Ephesus, the town of Selcuk is a true heaven for any traveler on the lookout for historical and cultural attractions. The site of the Temple of Artemis, one of the Seven Wonders of the Ancient World, the Basilica of St. John the Apostle, and the House of the Virgin Mary are just some of the stunning places to visit while in Selcuk. Include taking a dip in nearby Ephesus Beach in your vacation trip planner, one of the longest in Turkey. The popularity of area means you’ll find plenty of accommodation options in and around Selcuk, from five-star seaside resorts to family-run pensions. 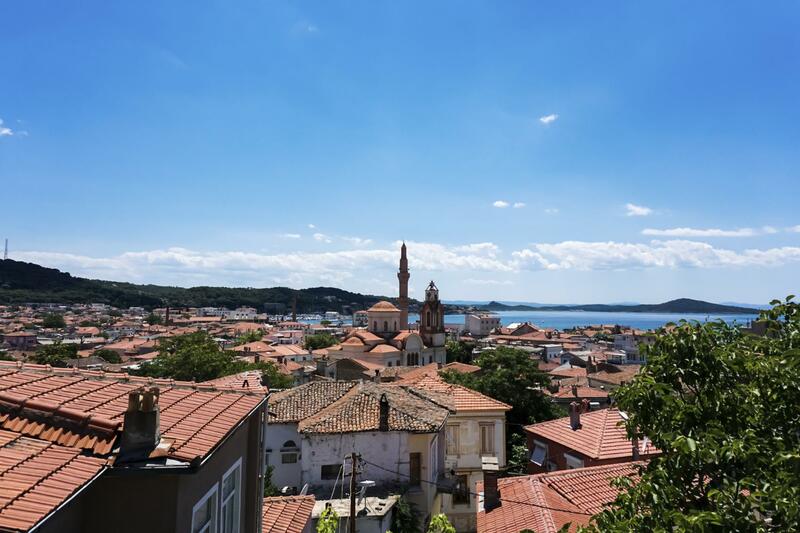 Another pearl along the Aegean Sea, the town of Ayvalik is a place where you can get away from the tourist bustle and take time to explore the cobbled streets and scenic coastline. One of Turkey’s main centers of olive oil production, the town houses several historical attractions and a great selection of seafood restaurants. It also serves as a perfect base for various excursions. Nature lovers can take a short journey to the Ayvalik Islands and enjoy their lush wildlife, while history buffs can visit the famous city of Troy. While virtually free of modern tourist resorts, Ayvalik specializes in a plentiful selection of charming guesthouses and bed and breakfasts. With over 4,000 years of history, Turkey’s Aegean coast has been a cradle of civilization where Lycians, Greeks, Ottomans, and many others have left their mark. For those willing to explore the area, a treasure chest of exciting and memorable discoveries awaits.